The Dramatists Legal Defense Fund, in partnership with PEN America, presented Banned Together: A Censorship Cabaret during Banned Books Week 2018 (September 23-29). This lively celebration of songs and scenes from shows that have been censored or challenged on the American stage raised awareness around issues of censorship and free expression in theater. The performances featured selections from Chicago, Fun Home, Spring Awakening, and The Laramie Project, among other notable works. 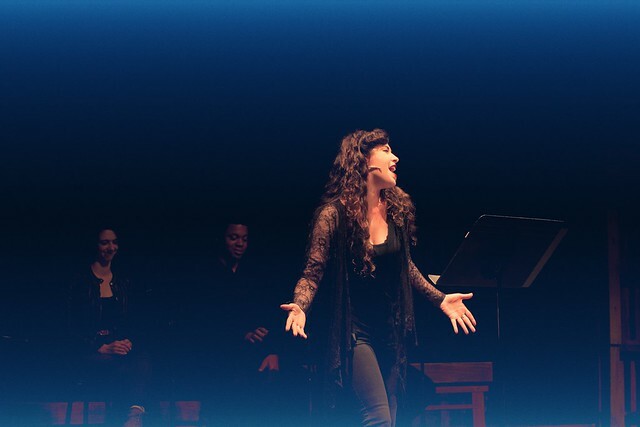 Producing Executive Director, Marley Singletary directed Equity actors and Tribble School for the Performing Arts students in this celebration of songs and scenes. The pieces were be linked with a libretto by DLDF president John Weidman.